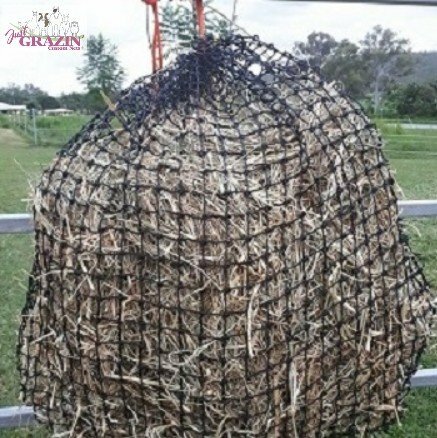 Hay Net fully encloses an entire 8x4x3foot Export Bale. 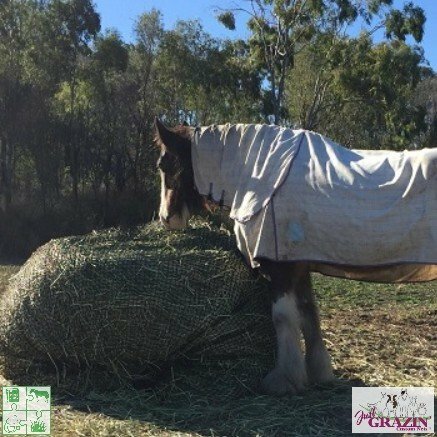 When you secure the draw string, be sure that the excess is tied back up inside the netting, making sure it wont come loose and risk becoming tangled around your animals legs. 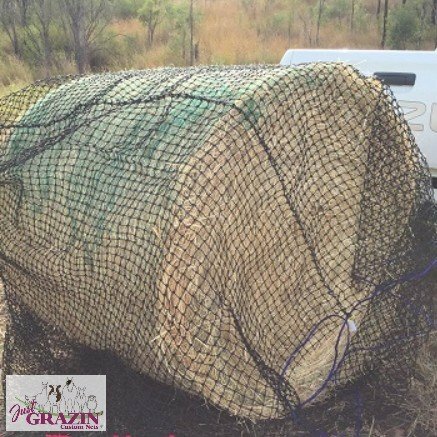 We suggest leaving one string on the bale uncut, towards the bottom of the bale. 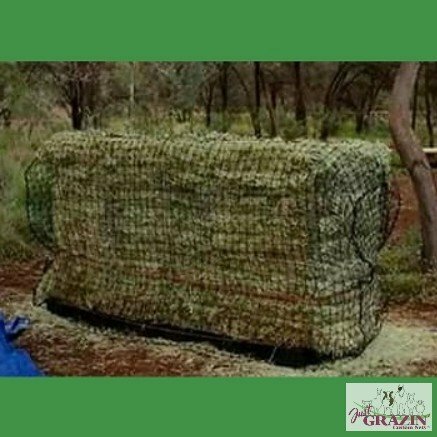 Given these bales can be 500-700kgs, it can help support the net until some of the bulk of the hay has been eaten down. 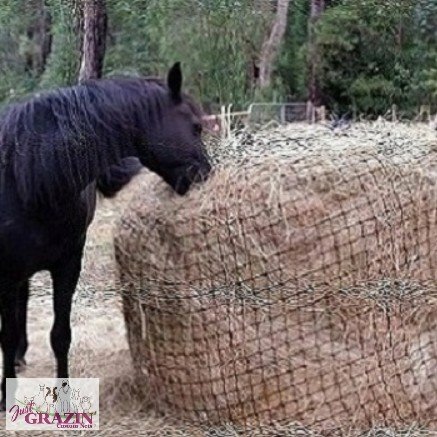 Then cut and remove the string.